For many folks in the Tampa area, rat encounters in homes and businesses have become all too common. These critters invade buildings in search of shelter and a place to raise their young and often cause expensive damage and health issues in the process. Rats can squeeze into your home or business through even the smallest opening in a wall or roof and can multiply out of control before you know it, resulting in costly damage and the potential for contracting an infectious disease. Don’t let their small size fool you; rats bring big trouble with them when they enter your home or business. Once inside, rats leave urine and feces everywhere they go, putting your family’s health at risk, and they’re known to cause the following damage to homes and businesses. It’s because of the potential health risks that we never recommend attempting to remove nuisance rats on your own. 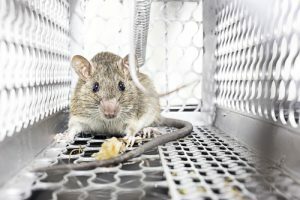 Though there is a multitude of DIY trapping options available, they are only marginally effective at best and do nothing to address the cause of your infestation. If you suspect that rats have invaded your home or business, hiring the professionals at Critter Control® is always the smartest option. With over three decades of experiences servicing both residential and commercial addresses, you can trust Critter Control® of Tampa to resolve your infestation the right way, the first time. For any questions about rats or to schedule a home consultation, call us today at 813.948.0870.